Betty Cody was a Canadian-born country music singer. Her notable singles include the 1952 RCA releases "Tom Tom Yodel" and "I Found Out More Than You Ever Knew", and "Please Throw Away The Glass" released by RCA in 1954. In 1979, Cody was inducted into the Maine Country Music Hall Of Fame. Umaru Abdulrahman Dikko was a Nigerian politician. He was an adviser to President Shehu Shagari and served as minister for transportation from 1979–1983. Jean Garon was a politician, lawyer, academic and economist in Quebec, Canada. Emilio Álvarez Montalván was a Nicaraguan ophthalmologist and a Foreign Minister of the Republic of Nicaragua. Samuel Henry "Errie" Ball was a Welsh-American professional golfer who competed at the inaugural Augusta National golf tournament in 1934. He was the last living person to compete in the first Masters and died at the age of 103. The Professional Golfers' Association of America is an American organization of golf professionals that was founded in 1916. Consisting of nearly 29,000 men and women members, the PGA of America's undertaking is to establish and elevate the standards of the profession and to grow interest and participation in the game of golf. On December 4, 2018, it was announced that the PGA plans to relocate its headquarters by the summer of 2022 from Palm Beach Gardens, Florida to a planned 600 acre mixed-use development in Frisco, Texas. Zdeněk Zika, 63, Czech Olympic rower. Bjørn Rochmann Bruland was a Norwegian admiral and politician for the Labour Party. The Norwegian Red Cross was founded on 22 September 1865 by prime minister Frederik Stang. In 1895 the Norwegian Red Cross began educating nurses, and in 1907 the Norwegian Ministry of Defence authorized the organization for voluntary medical aid in war. The Norwegian Red Cross was one of the first national organizations in the International Red Cross. UWC is a global educational movement with the mission to "make education a force to unite people, nations and cultures for peace and a sustainable future." Originally founded in 1962 to bridge social, national and cultural divides caused by the Cold War, today UWC consists of 17 schools and colleges on four continents, several short educational programmes, and national committees in 159 countries and territories worldwide. The UWC movement's international arm is UWC International, a UK registered charity. UWC International is governed by the UWC International Board and the UWC International Council. The executive arm of the UWC International Board is the UWC International Office, located in London, United Kingdom. Alan Alan was a British escapologist and magician. He originated tricks that have subsequently become familiar features of the repertoire of other performers and he was honoured by The Magic Circle. Paul Apted was a British-American sound editor, whose notable works include Alice in Wonderland, The Wolverine, The Book Thief and The Fault in Our Stars. Biduanita Negara Datuk Sharifah Aini binti Syed Jaafar, better known by her stage name Sharifah Aini, was a Malaysian singer, known as Biduanita Negara or "National Songstress" after the late Salmah Ismail (Saloma). She won first place in the Radio Television Singapore (RTS) talentime contest "Bintang RTS" competition in 1968, singing "Tiga Malam". She was famously known as Kak Pah. Imogen Bain was an English stage and screen actress. 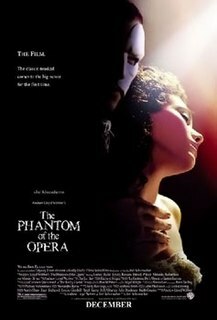 The Phantom of the Opera is a 2004 British–American musical drama film based on Andrew Lloyd Webber's 1986 musical of the same name, which in turn is based on the French novel Le Fantôme de l'Opéra by Gaston Leroux. Produced and co-written by Lloyd Webber and directed by Joel Schumacher, it stars Gerard Butler in the title role, Emmy Rossum, Patrick Wilson, Miranda Richardson, Minnie Driver and Jennifer Ellison. John Fairgrieve, 88, British Olympic sprinter. Félix Betancourt, 68, Cuban Olympic boxer. Helmut Uhlig, 71, German Olympic basketball player. Erich Fuchs, 89, German Olympic sprinter. Veikko Lahti, 87, Finnish Olympic wrestler. ↑ "Professor Emeritus Harold W. Kuhn died on July 2, 2014". Archived from the original on July 15, 2014. Retrieved August 6, 2014. ↑ "Celebrated northwest Rock photographer Jini Dellaccio passes away at 97". Archived from the original on 2014-09-12. Retrieved 2014-08-06. ↑ Obituary: Alan Alan, "The British Houdini"
↑ Stephen Hunt (2014-09-01). "Former philharmonic conductor Arpad Joo was controversial, talented musician". Calgary Herald. Retrieved 2016-08-05. ↑ Avelin P. Tacon Jr.
↑ "Former state Rep. Gene Hodges, 77, of Cedar Key has died". Archived from the original on 2015-09-24. Retrieved 2014-08-06. ↑ Former Detroit Tiger SS Tom Veryzer dies at 61. ↑ COSTELLO, BERNARD P., JR. "PAT"
↑ "Alice Coachman Davis, 1st black woman to win Olympic gold, dies". Archived from the original on 2018-01-22. Retrieved 2014-08-06. ↑ James Fremont Stillwell Jr.
↑ "Prominent Somali writer dies in London". Archived from the original on 2014-07-24. Retrieved 2014-08-06. ↑ STANBURY, The Hon. Richard J., Q.C., B.A., LL.B. ↑ Justus Wittich (September 2014). "Sergei O. Prokofieff, January 16, 1954 - July 26, 2014" (PDF). General Anthroposophical Society (No. 9). Archived from the original (PDF) on February 1, 2015. Retrieved February 1, 2015.